Responding to Subpoenas | American Professional Agency, Inc.
Risk Management Tips: Could You Be Liable for Making a Referral? A common question received from psychiatrists involves how to respond to subpoenas seeking disclosure of mental healthcare records, deposition testimony or trial testimony. This article describes the subpoena process and offers practical guidance on what to do after being served with a subpoena. Note, depending on where you practice, mental health, substance abuse and records involving minors may have additional layers of protection and procedural requirements. Subpoenas generally command you to either produce documents or testify. 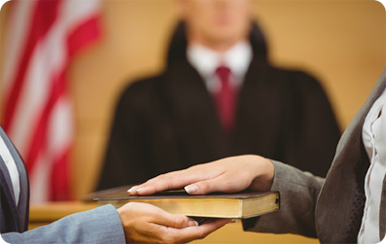 For psychiatrists and other behavioral health providers, subpoenas typically call for documents or testimony concerning mental health records and professional services relating your patient’s care when he is involved in some form of litigation.1 This can include custody disputes, divorce, personal injury matters or involvement in other types of suits, including alleged malpractice claims against psychiatrists. Subpoenas can be issued by judges, attorneys and various state or federal agencies. Often professional liability policies may cover legal expenses associated with responding to subpoenas. Thus, it is important to contact your professional liability insurer to determine if you have coverage immediately upon receiving a subpoena, even if it involves a legal matter in which you are not a party (these types of subpoenas are referred to as “non-party” subpoenas). Under HIPAA as well some state privacy laws, your compliance with a subpoena may generally be considered an authorized disclosure, as HIPAA does permit disclosure in response to a subpoena as long as the requesting party gives the required satisfactory assurances that it made reasonable efforts to notify the patient or obtain a qualified protective order.2 However, there are certain caveats to consider, including state laws that do not permit disclosure even pursuant to a valid subpoena. 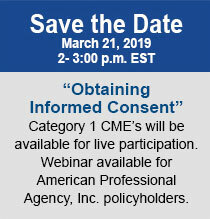 It is important to be aware of your state’s requirements for authorized disclosure of records as there may be heightened protection for mental health/substance use records specifically and a subpoena may not necessarily permit disclosure. Additional considerations also include whether third parties or sensitive information is contained within the record. Depending upon the circumstance, an attorney may recommend redacting the record prior to producing to another party. Should you have questions, be sure to discuss with your attorney. As indicated, mental health records are subject to higher levels of confidentiality protections than other records, and both federal and state legislatures impose strict notice and procedural requirements before subpoenas rise to the level of a court order, which compels disclosure.3 For example, in California a subpoena to produce records (subpoena duces tecum) must include either a written authorization to disclose signed by the patient – or proof that the patient has also been served with the subpoena a certain number of days before the subpoena was served upon the provider.4 This notice affords the patient time to take steps to prevent disclosure. Usually, the patient or his attorney will notify the provider whether or not they object to disclosure and will keep him informed. Additionally, because a subpoena is an order for you to disclose or testify, it must be validly served upon the provider. Service by mail is generally not sufficient to effectuate service. This is an area individually regulated by each state but, in general, subpoenas must be personally served. It is advisable to consult with your attorney before agreeing to accept service by mail or through some other means. Even assuming a valid subpoena has been properly served and it is accompanied by a valid, signed release, it is prudent to confirm that the patient has received notice. Therefore, it is recommended that you advise the patient that his records are being sought. If the patient has an attorney, consider recommending that the patient promptly discuss the matter with his attorney and it is important that you be advised on what, if anything, the patient plans on doing in response to the subpoena. In addition, it is important to consult your liability insurer before releasing the requested records, as there may be additional clinical/legal reasons to withhold the records. If a subpoena to produce mental health records does not include a valid written authorization for release, it is prudent to request one before disclosure in order to assure your protection and confirm that the patient is aware of the subpoena and the records being sought. 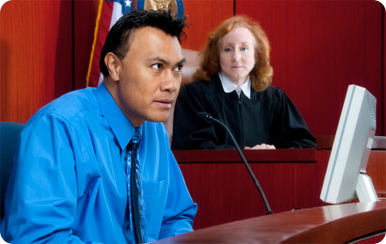 In addition, depending upon the circumstances, court intervention may be recommended by counsel prior to disclosure. Again, consult your liability insurer prior to releasing the requested records. It is recommended that you not produce records before the time set forth in the subpoena. Among other things, it is possible your patient or his attorney is in the process of challenging the subpoena and you should not release the records before they have time to complete their challenge. However, it is important to contact your attorney as soon as the subpoena is received to afford sufficient time to respond. Waiting until the day of or after the due date, is not advisable. Again, this is an area where it is important to have the assistance of an attorney. The subpoena must specifically designate the records that are sought. While the scope of the records designated in the written authorization may likely mirror the scope of the records requested in the subpoena, the release of records should be limited to those specifically designated in the written authorization. If no written authorization exists, then counsel may assist in limiting the release to those records designated in the subpoena. Remember, psychotherapy notes must be kept separate from the medical record and have additional disclosure requirements. They are not generally produced if maintained in a separate file and in accordance with HIPAA. Reimbursement for Your Time and Expense for Producing Records? Subpoenas requesting that you furnish copies of the records or make the records available for inspection require copying by a professional photocopier or the attorney who has caused the subpoena to be issued. In either case, most states have regulations which allow reimbursement for certain reasonable administrative costs incurred in assembling the subpoenaed records. For example, in California, you are entitled to demand and be paid the following costs: clerical expense in locating the records computed at $24 per hour per person (computed at $6 per quarter hour); actual costs in retrieving and returning the records to storage; copying costs computed at $.10 per page; and actual postage. If you are instructed to make the records available to a professional photocopier or attorney for inspection and copying, you are entitled to receive a fee not to exceed $15 for complying with the subpoena, and any sums actually paid to a third person for retrieval and return of any records stored off-site.5 While each state is different, the above example gives you an idea of what you may be entitled to be compensated. When you receive a subpoena to appear and testify, it is important to inform the patient and seek his written authorization to disclose information. However, if the subpoena only commands you to appear and testify, but not produce records, the time constraints set forth regarding production of records may not apply. Usually, all that is required is reasonable notice to appear. Also, the notice requirements that typically exist when producing patient records may not apply. Thus, when presented with this dilemma it is even more incumbent upon you to notify your patient and your liability insurer. Keep in mind that a subpoena to appear and testify commands you to do two things: (1) appear at a designated location and time; and (2) testify. Your patient’s right to confidentiality does not have any impact on your requirement to appear. It only applies to your testimony, i.e., disclosure. Thus, it is important to be cautious; even if your patient is asserting the psychiatrist-patient privilege, you still must appear and let the attorney assert the privilege on the patient’s behalf. If privilege is asserted, then you respectfully refuse to testify or respond to questions to which the privilege has been asserted unless ordered by the court.6 In addition, depending upon your state and the circumstances, you may have a right to be “reimbursed” for your time testifying beyond the amount typically paid to lay witnesses. Conversely, you are not entitled to expert fees if you are only being asked to read words and symbols contained in the relevant treatment record.9 Essentially this means that in California, you are more often than not entitled to expert fees which cover your hourly or daily rate from the time you have been commanded to appear until you are dismissed from testifying.10 As each state has its own unique rules and regulations regarding expert fees, it is important to consult with your attorney to find out whether you are entitled to be paid for your time. Whether receiving a subpoena for records or to appear at a deposition or for court testimony, keep in mind your rights as well as your patient’s. As each case is specific and there are differing rules in each state, it is important to obtain guidance from an attorney before producing records in response to a subpoena. Jim Rogers founded his firm in 1987 and has extensive litigation and administrative experience in the healthcare field. Since 2002, Jim has held the highest peer rating of AV® Preeminent (5/5.0) by Martindale- Hubbell. In 2013, 2014 and 2015 Jim was recognized by San Diego Magazine as “San Diego’s Top Lawyer” in the field of “Medical & Mental Healthcare Professionals & Institutions” and on two occasions was given the Distinguished Contribution to Psychology Award by the San Diego Psychological Association. Jim manages his law firm and continues to litigate medical, legal and professional liability cases and also serves as General Counsel for eTherapyfinder.com. Jim received his Juris Doctorate in 1981 from California Western School of Law, San Diego, CA and his Bachelor of Science in Business Management from Virginia Polytechnic Institute and State University in 1974. Mental health records and professional services also referred to as Protected Health Information (“PHI”). 45 C.F.R. §160.103. For example, California Civil Code §56.10(b) (3) specifically states compliance with a subpoena is an authorized disclosure. The same holds true under HIPAA. See 45 CFR §164.512(e) (ii). The notice requirements under HIPAA can be found at 45 C.F.R. §164.512(e). Cal. Code Civ. Proc. §1985.3(b)&(c). 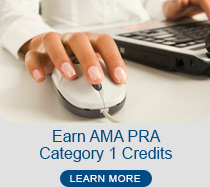 The reimbursable cost and expenses set forth above are found in Cal. Evid. Code §1563(b). This type of scenario is another situation where you typically need the assistance of your own counsel. Your patient’s attorney may not provide guidance or assistance regarding privilege issues and unless your client has given you written authorization to testify and you proceed at your own risk. A “retained expert” is designated as such by one of the parties as an expert at an agreed upon rate. A percipient or treating clinician has not been “retained” to testify, but one who has treated one of the parties and is being subpoenaed to testify. Cal. Code Civ. Proc. §2034.430(a)(2). Cal. Code Civ. Proc. §2034.430(b). In Session with Allied World is a quarterly newsletter provided as a service to APA members by Allied World. Each author is solely responsible for the statements of fact and opinions expressed in their respective articles. Kristen Lambert and Moira Wertheimer are employees of AWAC Services Company, a member company of Allied World Assurance Company Holdings, AG (“Allied World”). Information contained in the articles should not be construed as legal or clinical advice. The newsletter and the articles contained therein may not be reproduced either in whole or in part without express, written permission from Allied World. © All rights reserved. Allied World Assurance Company Holdings, AG. February 2016.